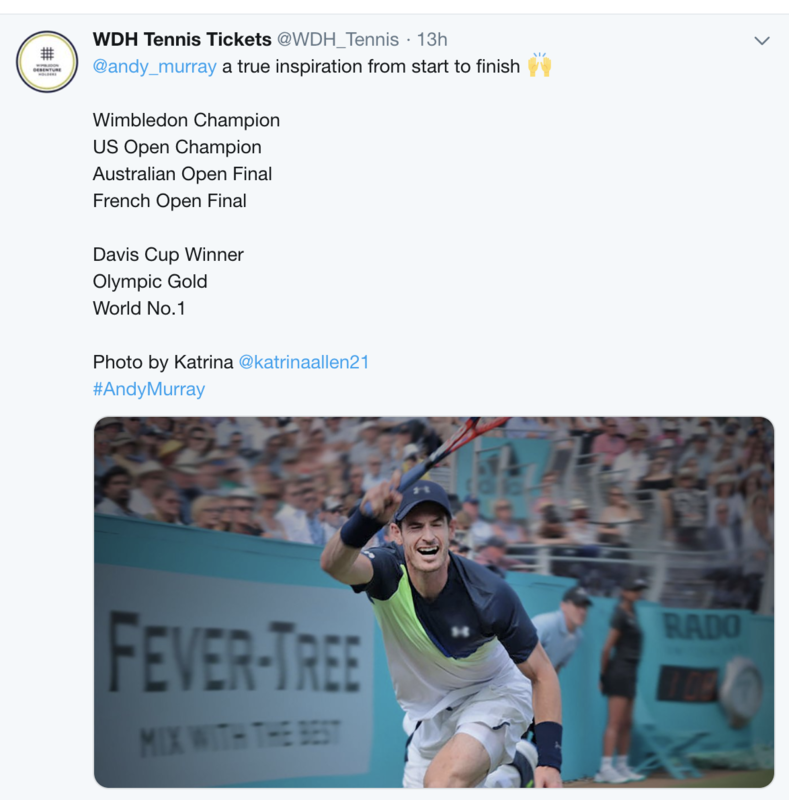 Endless suffering of Andy Murray. 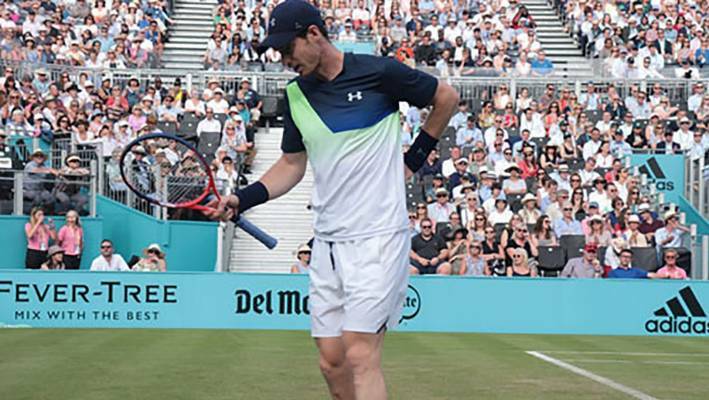 OPINION: Exactly one year ago former world No 1 Andy Murray pulled out of Aussie Open citing a hip injury. Shortly after, he made a major decision – to have surgery on that hip. He seemed very positive after the operation, fairly certain that he would make a full recovery and get back to business. 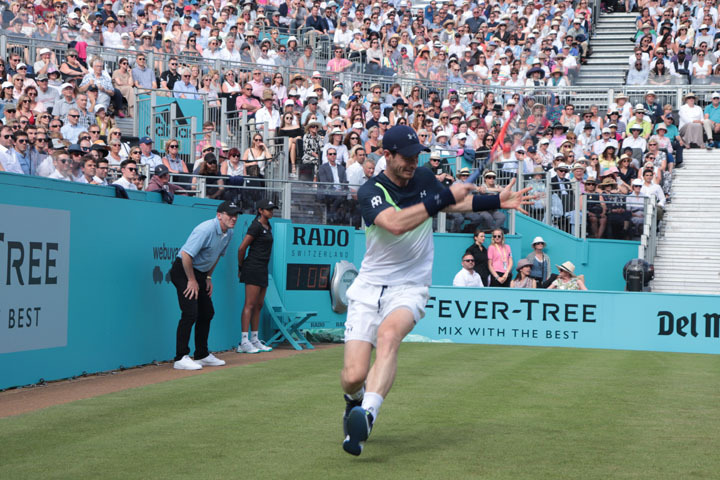 Andy Murray clutches his hip at Queen’s in 2018, it has hampered him ever since and hastened his retirement. Australian Open, 2019. Languedoc Living. The big news of the fortnight was Andy Murray tearfully announcing his retirement. Exactly one year ago, he had surgery on his hip and never really recovered. 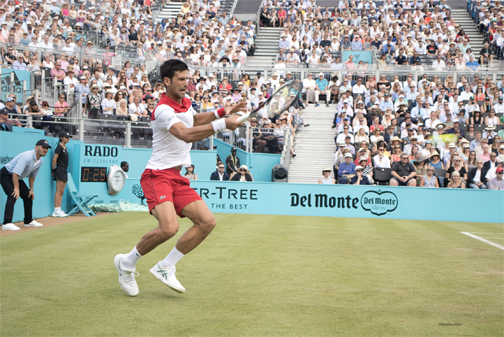 He came back at Queen’s last June but was clearly not in great shape, pulling out of Wimbledon a couple of weeks later and hadn’t won any major tournaments since. Alexander Zverev – the New Face of Tennis??? Is Alexander Zverev changing the guard, from Roger Federer and Novak Djokovic? Alexander Zverev of Germany celebrates victory with the trophy following the singles final against Novak Djokovic at the ATP Finals in London. 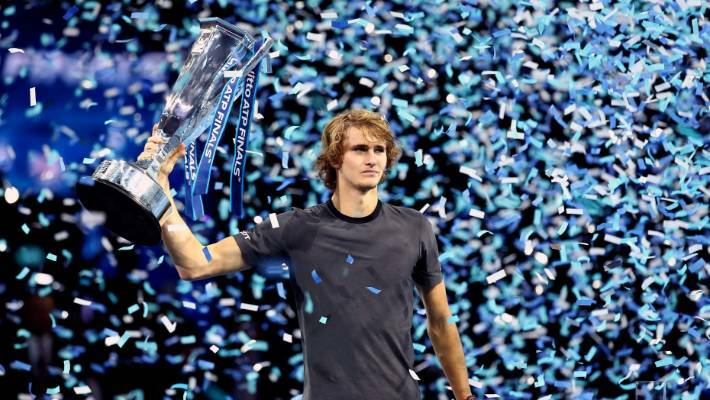 OPINION: So, the 21-year-old German, Alexander Zverev, won the end of season ATP championships in London, a highly-coveted title, played out by the top eight men’s tennis players in the world. Well written. She should have been banned from at least one Grand Slam if not all of 2019 Slams. The paltry fine imposed was simply pathetic. She could pay that from change in her purse. But, of course, she would never be banned because she is the darling of the predominantly Yank tennis world and she is seen as a drawcard for more money. Did Serena Williams really expect to get away with calling Carlos Ramos a ‘liar and a thief’ in front of millions? 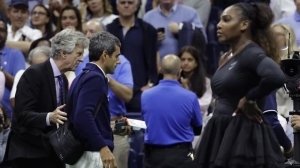 OPINION: A huge number of fans, (in particular, Americans, since she is, of course virtually royalty there), seem to agree with Serena Williams that the game docked from her in the US Open Final was about sexism. Hi, I really enjoy reading Languedoc Living every day. 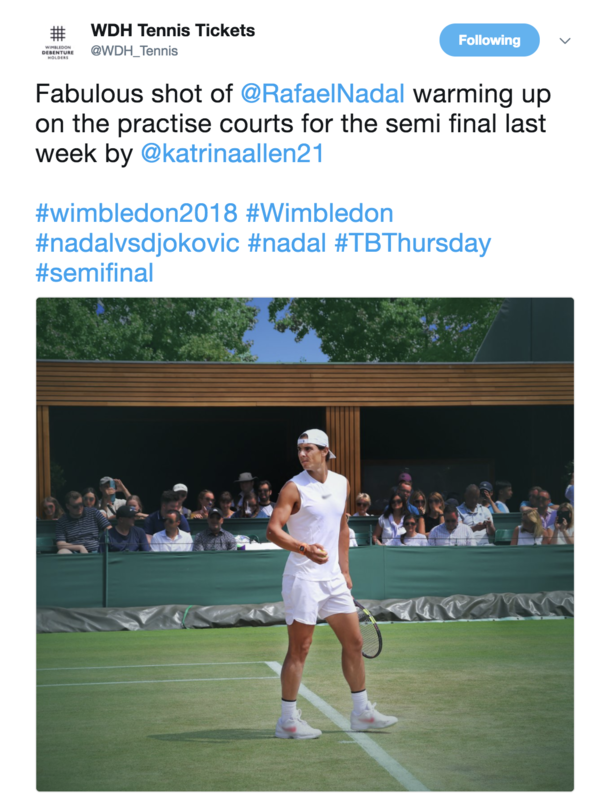 I especially appreciate Katrina Allen’s updates on the major tennis tournaments and I totally endorse her article about Serena’s behaviour in the US Open’s Ladies Final. I would like to point out that Serena screams racism; doesn’t screaming abuse at a Portuguese umpire constitute racism? I would have thought so. The US Open was filled with controversy this year, making the whole thing rather interesting for reasons other than just the tennis. Diva Magazine, The Gay Games, Paris, 4th – 11th August, 2018. The Gay Gam es, a huge sporting event, is held, like the Olympics, every four years. It first took place in San Francisco in 1982, featuring 17 sports, 12 nations and 1,350 participants. It was a huge success and it was clear that this LGBT+ sporting celebration would continue. Since then, the event has been held in cities such as Vancouver, New York, Amsterdam, Sydney and Cologne. Each time the numbers have increased. By 2006 there were 30 sports and cultural events, 70 nations and 11,700 participants. 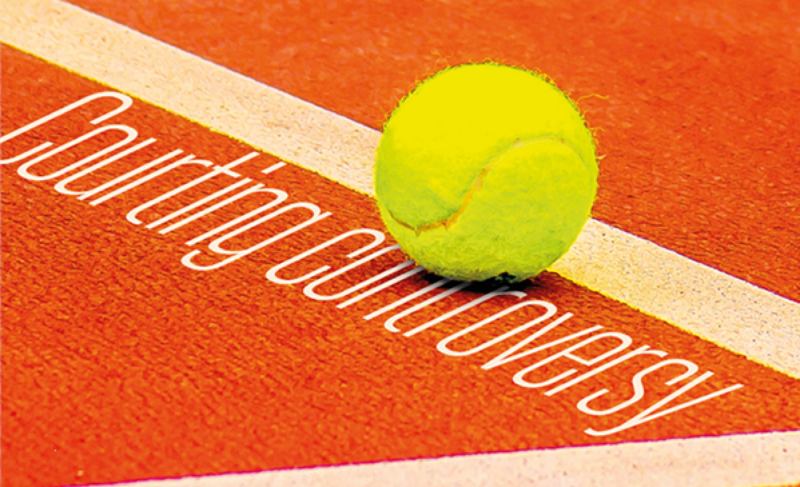 This year, the sporting extravaganza is to be held in Paris from 4th -11th August. The Gay Games was initially known as the Gay Olympics but objections were raised by the Olympic Committee and the name was changed. It was a reasonable request since the whole ethos of the Gay Games is about inclusion, not just within the community but also across various standards, which go from beginner to expert. The Olympics, of course, is all about excellence, world-class athletes within their sport. Real Tennis, what exactly is it? At this point, the commentator said “and that’s her girlfriend and coach”. I have never heard that from a commentator before. 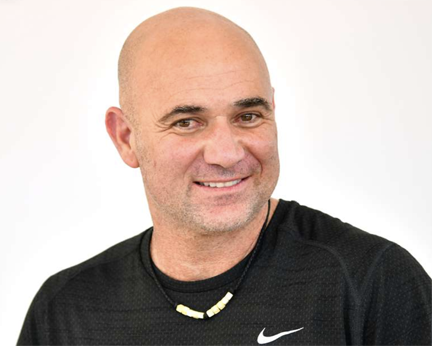 And it was replayed on match of the day – Navratilova raised her eyebrows, grinned and gave an approving nod in Becker’s direction. Clare Balding said nothing – she should have done but maybe she was worried about her job – wouldn’t surprise me. Murray Out! All Eyes on Edmund.. So, Andy Murray has withdrawn from Wimbledon. 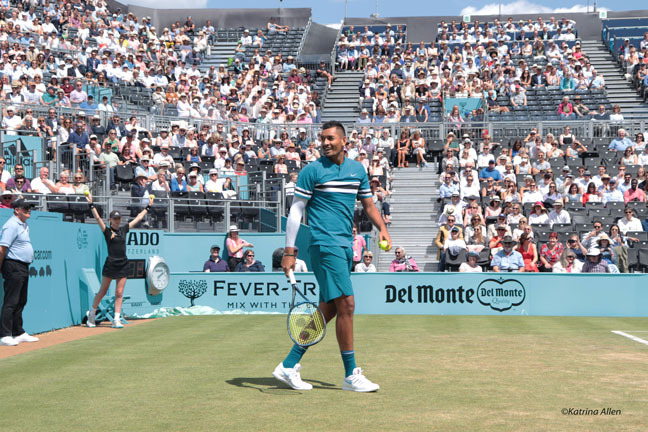 It’s sad for him and it’s also sad for those of us who were rubbing our hands in anticipation of what would have been a fascinating match against the Frenchman Benoit Paire in the first round. Paire would have been a tricky opponent, having had two match points in a hugely tense final set tie break against Roger Federer in Halle. 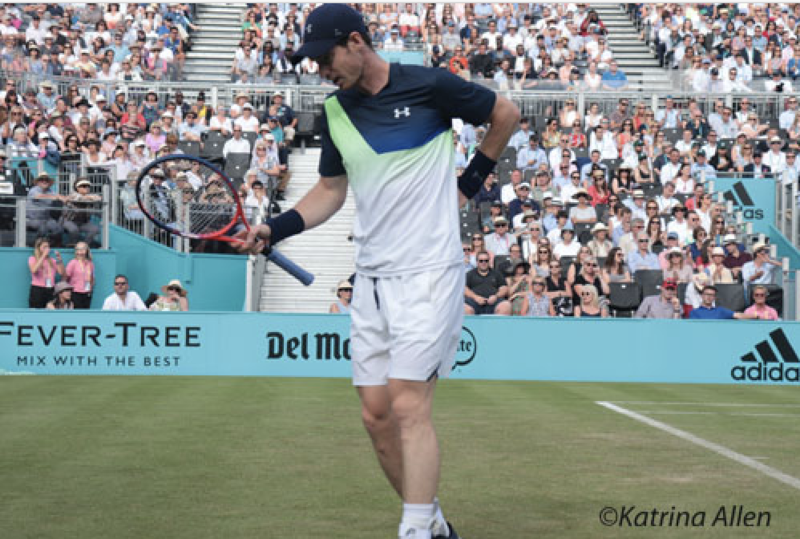 Andy Murray’s Return to Form..
Murray vs Krygios at The Queen’s Club Fever Tree Championships, Tuesday 19 June. Rafael Nadal has just won his 11th Roland Garros title at the age of 32. Roger Federer, at the age of 36, is favourite to win this year’s Wimbledon. These two players have won all the Grand Slam titles between them since Melbourne last year and appear to be unbeatable. So, who might be future contenders for those Slam titles?